The following is a letter from the University of Washington Husky Band Director, Brad McDavid, to the @CollegeMarching Band family, the Washington State Cougar Marching Band and all those who have showed their support to the band over these past few days. When it comes to finding enough words to address how much the students and staff of the Husky Band have been touched by the incredible outpouring of support over the last 36 hours, nothing seems remotely adequate. In the minutes and hours following the most terrifying event in the history of the band and certainly in my professional career, the stress, emotion and unfortunately, the pain, felt by 47 members of our family, could have easily become completely overwhelming. However, from the first-responders, to the local school district and community that took us in, to all of the posts that we began continually receiving, it began providing our students and staff with the strength to make it through the ordeal, particularly the initial hours. Every message, from around the country, no matter how brief, deeply touched us. To my colleagues around the country and to your incredibly thoughtful students who took time to post words and videos of support, we may not know all of you personally, but we send our heartfelt thanks. We are all bound by that one thing that intrinsically and inevitably develops a deep sense of appreciation and compassion for all of us whether we know each other or not and that could not have been more evident than in the hours following our accident. 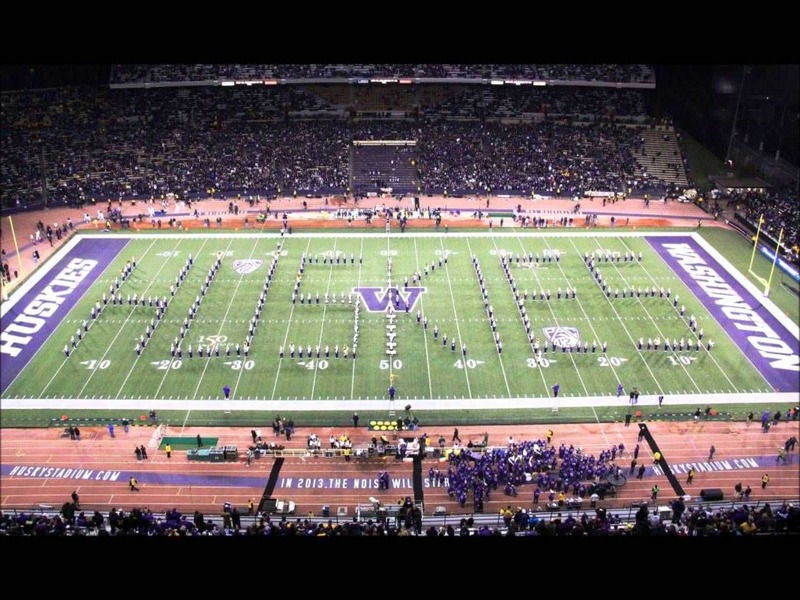 We also want to convey to the students and staff of the Cougar Band and WSU in general, how incredibly touched we were by the many signs of support at the Apple Cup, especially the playing of our Fight Song. The students in our bands have long shared a unique history and bond in that so many of them have grown up with each other, so for the CMB to put the rivalry aside and make that gesture, is something the HMB and hopefully our mutual fan bases will never forget! So, we’re a little beat up right now and and unfortunately not all members will be able to physically participate in the conference championship game next week. However, we will all be there and once again supporting our team and our school. But, first and foremost incredibly thankful that we will all be able to be there to show the class, compassion, and respect for each other that so many of you have taken the time to extend to us. Continue to follow @CollegeMarching on twitter, facebook and instagram to see our full coverage of the Collegiate Marching Band world every day!